I'm always pressed for time, so I'm always looking for easy make-ahead recipes that are 1) Easy 2) have ingredients that I usually have on hand and 3) are AWESOME. 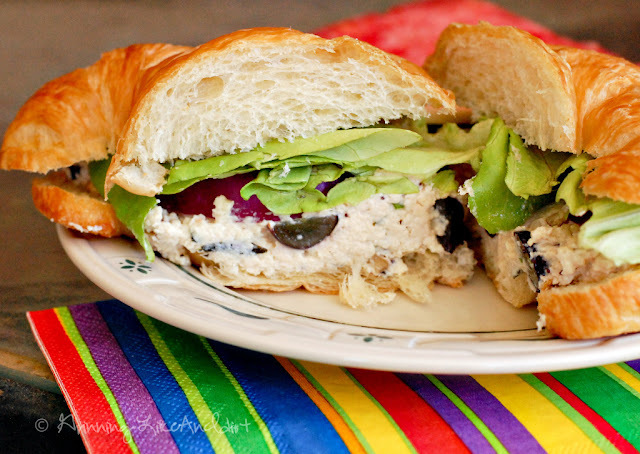 This is a chicken salad recipe that meets all of the above! I cook my own chicken breast in the oven for 25 minutes at 375 degrees. 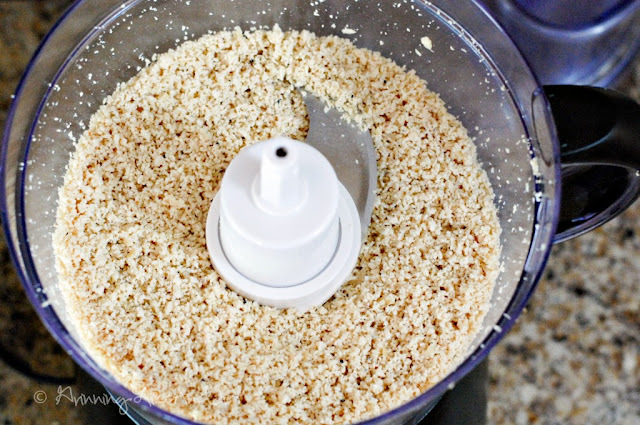 I love this food processor, I was able to put the cooked chicken breasts whole and they chopped down to this! 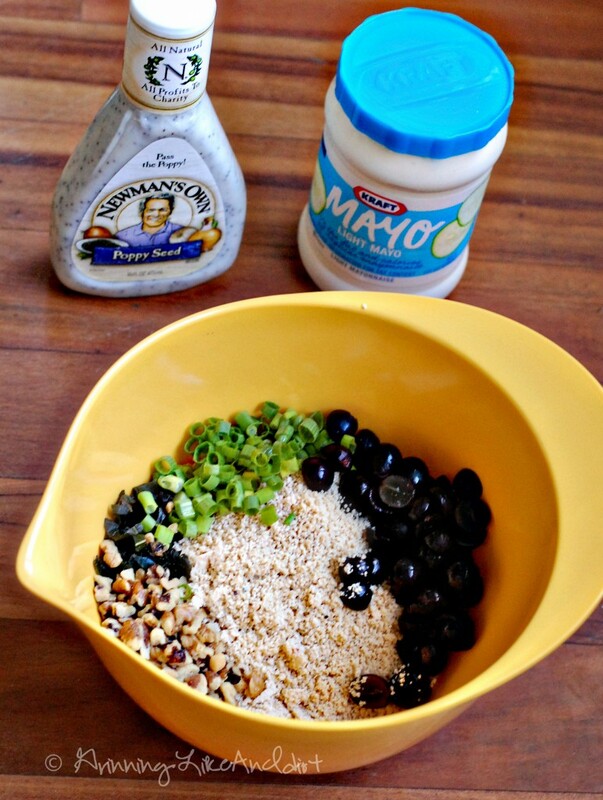 Awesome mix of ingredients: walnuts, grapes, green onions, chopped fresh basil, poppy seed dressing, mayonnaise. Cook the chicken (I've used leftover chicken, grilled chicken, rotisserie chicken etc.) 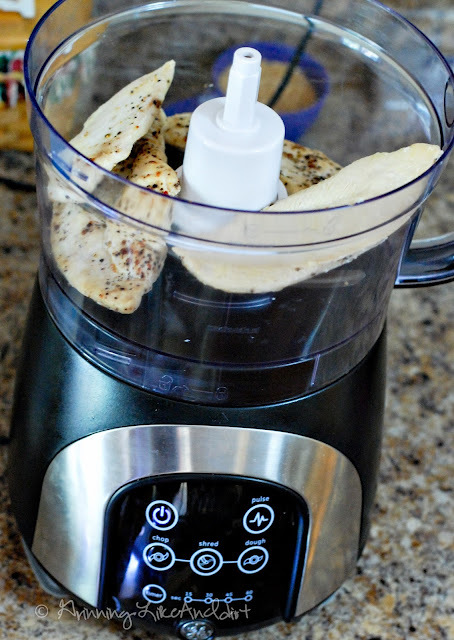 and shred in a food processor. Add and stir in all the remaining ingredients to your taste. Let chill for a couple of hours. Serve on croissants, bread or by itself.